Founded in 2010 by occupational therapist Kim Griffin, GriffinOT’s initial focus was to provide private occupational therapy in clinics and schools. Witnessing many cuts to occupational therapy provision in both health care and education since then, Kim wanted to address some of the consequences, so, in 2017, she set up the online training and resource arm of Griffin Occupational Therapy. Provide affordable, high quality online occupational therapy solutions for home, school and everywhere! Whilst the training arm of GriffinOT it is relatively new, Kim hopes that news of her training packages for sensory processing and motor skills will spread fast. 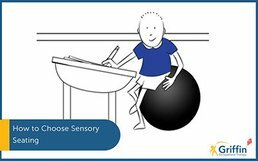 Our flagship online training course ‘Sensory Processing – What’s the Fuss?’ is available in both a group and individual format. Additional training and therapy programmes on fine and gross motor skills for home and school will follow in early 2019. We consciously create all of our training with parents and teachers in mind. Individuals can access them flexibly over three-six months. Soon schools will be able to access them flexibly and affordably with an annual subscription rate too. 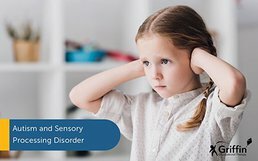 Our website offers information and resources for parents and teachers on sensory processing disorder. We also review equipment from time to time. GriffinOT Ltd’ social mission is to to provide affordable occupational therapy solutions for school and home. You can download our statement of responsible business principles here. Join our mailing list to stay up to date with our latest news and products. We send a monthly newsletter with our updates. From time to time it also includes promotions on our courses and products. You can customise your choices when you sign up and GriffinOT will never send you any mail you don’t sign up for. Sign up to our mailing list for our newsletter, updates, and course discounts. Sensory Integration or Sensory Processing? Why is my Child Still Putting Things in Their Mouth? A Post on Oral Sensory Seeking. Dyspraxia Myths Explained – It’s not just being clumsy! It is a Sensory Issue? Common Signs of Sensory Issues in Children. Let’s talk about Proprioception – our hidden sixth sense!